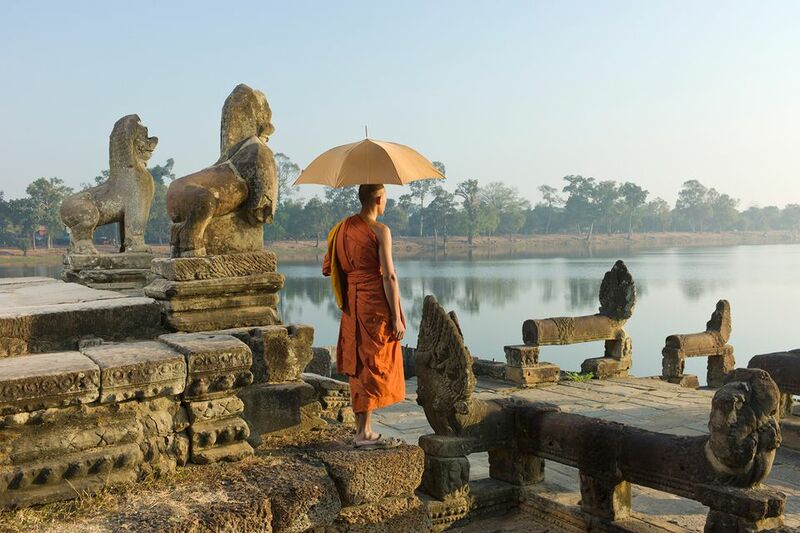 "Real life experiences" are the focus of Intrepid Travel's adventure trips. The company was founded in 1989 by two Australian men who had a passion for getting travelers off the beaten track while visiting Asia. Today, Intrepid Travel offers trips to more than 130 destinations around the globe, including all seven continents as well as the Arctic. The styles of those trips include active adventures, including multi-sport challenges, where travelers combine cycling, trekking and some volunteer activities. Other focuses include independent travel, family travel, and Intrepid's own Basix branded travel, which is definitely grassroots-style at its finest. On these generally small-group trips, you'll travel in ways similar to the locals, respecting their culture and the environment. The groups take mostly public transportation, stay and eat in small-scale locally-owned establishments, and interact with the locals in unique ways. This helps to provide a higher level of cultural immersion, allowing travelers to truly get a sense of the place the are visiting. "We wanted to develop a style of travel that was altogether different, where as travelers we became a part of the country - and not just tourists looking in," says Darrrell Wade, Director, and Co-founder, Intrepid Travel. "Wherever we go in the world, we take a responsible attitude with us. That means traveling in a way that both respects and benefits local people, their culture and the environment. Our travelers get the chance to meet local people and really get to know their culture first-hand. You'll contribute directly to local economies and help develop cross-cultural understanding. In other words, enjoy a real life experience." There are a lot of high-quality adventure travel companies to choose from, so why pick Intrepid? Simple, the company has been around for more than 30 years and it has a proven track record for pulling off wonderful trips at affordable prices. Intrepid also offers itineraries to just about any location you can think of with some truly intriguing options for each tour. If you like small-group, adventure travel, and don't mind letting someone else plan the details, chances are you'll find something to like in the Intrepid catalog. Once you start to explore the everything that intrepid has to offer, there are two things that are likely to surprise you. The first is how extensive and far reaching the company's itineraries are and the other is just how affordable those trips can be. The Okavango Delta is one of the most beautiful and overlooked safari destinations in Africa, offering travelers a chance to experience vast numbers of wildlife in a unique setting. On this trip, Intrepid clients will take an overland journey across Botswana and experience the landscapes and culture in all of its glory. Before leaving, they'll even take a hop over to Victoria Falls to witness the "smoke that thunders." This 22-day excursion gives travelers a thorough taste of one of the truly great adventure destinations –– New Zealand. The itinerary taking them across both the North and South Island, with numerous stops at both locations. Highlights include several days in Queenstown, a caving tour, kayaking trips, geothermal activity, and visits to some of the country's most spectacular national parks. Mongolia remains one of the most remote and beautiful countries on the planet, and Intrepid's fantastic journey shows off a truly amazing side of this spectacular place. Travelers will get to see this wild and untamed place both on foot and from the back of a camel as they spend 15 days on the fabled steppe following in the footsteps of the great nomadic tribes of centuries past. Oman is an often-overlooked destination in the Middle East with a rich history and culture. It also happens to have some excellent opportunities for adventure, as this itinerary demonstrates. Intrepid clients will get the chance to camp in the desert, explore ancient fortresses, wander colorful souks, and bask in the local hospitality. This is a trip that can shatter stereotypes and change the way we look at the world. For more information about the many trips that Intrepid has to offer, visit the company's web company's website or call 800-970-7299 at any time of the day or night. Looking to find other top adventure travel companies that may appeal to your sense of exploration? We've complied a list of our favorites with some of the best tour operators in the world. Chances are, any one of them can make your travel dreams come true.